Articles Who is Eligible for Medicare? Medicare coverage is not available to everyone. To receive benefits under this federal insurance program, you have to meet Medicare eligibility requirements. What does it mean to be eligible for Medicare? Some people might confuse two types of Medicare eligibility: eligibility for Medicare, and eligibility for premium-free Medicare Part A. How you qualify for Medicare is described below. How you qualify for premium-free Part A is described later on. 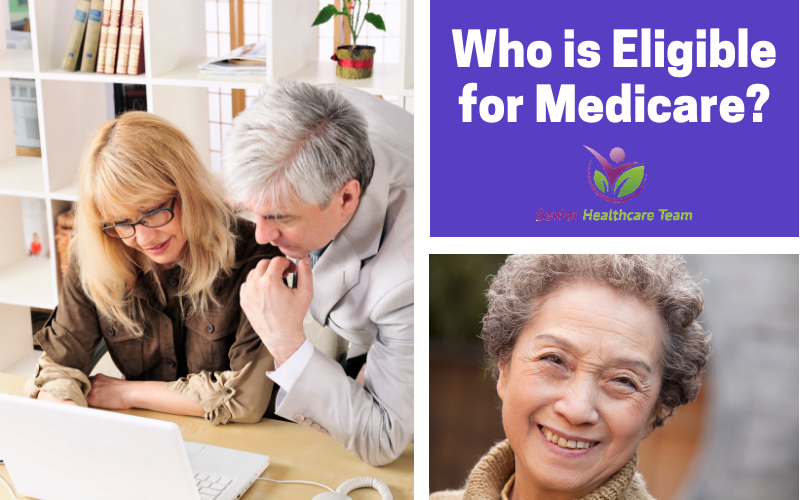 Age 65 or older: who is eligible for Medicare? If you are age 65 or older, you are generally eligible to receive Medicare Part A (hospital insurance) and Medicare Part B (medical insurance) if you are a United States citizen or a permanent legal resident who has lived in the U.S. for at least five years in a row. Younger than age 65: who is eligible for Medicare? · You have permanent kidney failure requiring regular dialysis or a kidney transplant. This condition is called end-stage renal disease (ESRD). · Read more details about enrollment in Medicare when you’re under 65.
Who is eligible for premium-free Medicare Part A? · You or your spouse had Medicare-covered government employment or retiree who has paid Medicare payroll taxes while working but has not paid into Social Security. Normally, you pay a monthly premium for Medicare Part B, no matter how many years you’ve worked. Read more about the Part A and Part B premiums. How do you receive your Medicare benefits when you meet Medicare eligibility requirements at age 65? If you meet Medicare eligibility requirements and you have received Social Security benefits for at least four months prior to turning age 65, you will typically get Medicare Part A and Part B automatically the first day of the month you turn age 65. If you’re not enrolled in Original Medicare (Part A and Part B) automatically, you may need to file an application with the Social Security Administration. You can enroll in Medicare Part A and Part B during the period that begins three months before your 65th birthday month, includes your birthday month and ends three months after your birthday month. Note: You have a choice if you want to keep or refuse enrollment in Medicare Part B. If you refuse it, you don’t lose your Medicare Part B eligibility. However, you may have to wait for a valid enrollment period before you can enroll. You may also have to pay a late enrollment penalty for as long as you have Medicare Part B coverage. How do you receive your Medicare benefits when you meet Medicare eligibility requirements for people younger than age 65? · If you receive Social Security benefits for 24 months, usually you will automatically be enrolled in Medicare Part A and Part B at the beginning of the 25th month. · If you have Lou Gehrig’s disease, usually you will automatically be enrolled in Medicare Part A and Part B as soon as you receive the first month of Social Security disability benefits. Are you unsure whether you meet Medicare eligibility requirements? Contact me. I will be happy to help you.